For me, blogging started long before it was called blogging, I guess. It started at a place called Starlite CafÃ©, in the form of poetry back in 1998. I wrote about my relationship at the time, about the joyous time we had, about the bad times, about the breakup. I wrote about a new love, sadly, a doomed love, and I wrote a lot about that! Then in 2002, we moved to England, and started a photo journal of our travels around the country, and later Europe. We did this by way of an email newsletter. 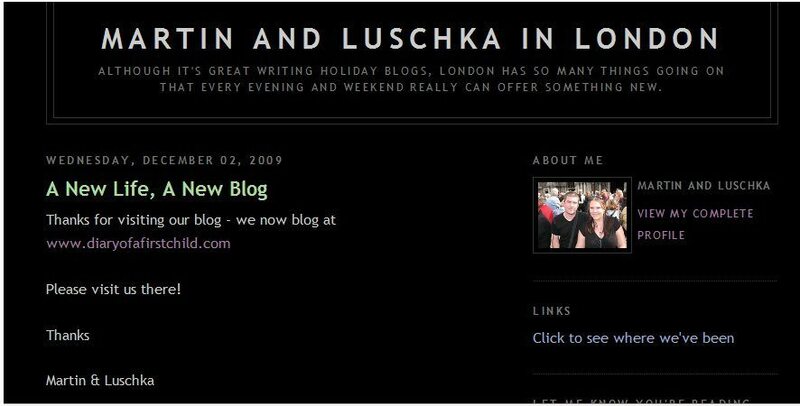 Then in 2008 our newsletter became a blog for a month long backpacking trip we were doing with two friends around Europe and I intended to continue it in place of the newsletter. Then I found out I was pregnant, and naturally, I had to write about it! After all, that’s how I deal with all big emotions, and we also didn’t want to tell people yet! And so, Diary of a First Pregnancy was born. I journaled the entire pregnancy, the good and the bad. Once my daughter was born, I changed to a self hosted blog, and that is what you are reading now (for which I’d like to say a big thank you!). I have really enjoyed seeing my readership grow, and taking a private passion, writing,(which I’ve been doing creatively since I was 4!) and practicing it every day. And I’m also enjoying improving it to a more professional standard, to make visiting my pages a pleasure. My regular readers might already have noticed a few changes around here lately. Firstly, there is now a working RSS feed button in the sidebar on the right. If you would like automatic notification of new posts, please follow the link. I would be honoured. Just below the RSS link will see the new Facebook Fan Page button. Do become a fan if you’re a regular reader. The page is still new, but will grow in time. There is also now a navigation bar at the top of the page to help you easily find posts in any of the eight topics I write about. Some of them I have only just started contributing to, others I have imported from my old blogs. I have added the LinkWithin plugin which shows related posts that might interest you. There’s no point letting those old posts go to waste, is there? The speech bubble containing a heart in the comment section is for CommentLuv, a brilliant plugin which allows the commenter to leave a link to their recent blog posts. This makes it easy for me and others to check out your site. I have become a fan of many others due to a post title grabbing my attention. There are a few other features coming as I master them. These will include a current reading list, my blog recommendations and hopefully a followers list! I am aware that there are still a few problems for people on Internet Explorer viewing my blog, and I am working on those, although learning and implementing CSS is a slow process! If you find any other bugs, do let me know. Otherwise, I hope you enjoy what you find here, and that you will come back – easy to do if you click that RSS button! To my regular readers, a great big thank you again! It wouldn’t be half as much fun without you! I must admit I prefer blogger cos it’s simpler – I think you can do more in WordPress but I often only have about 5 minutes to knock out a blog and I think it’s easier if you’re time constrained to just use blogger… your thoughts? .-= ThriftygalÂ´s last blog ..Extra discount at Catwalk to Closet =-. @Thriftygal, I agree – it is much simpler and quicker, but as I said, more restricted. Stopping by from SITS – hoping your Saturday has gone well! 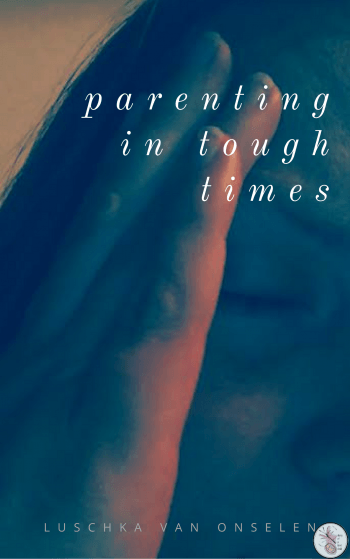 .-= Heather ~ Acting Balanced MomÂ´s last blog ..Sunday Family Stories – Ace, two, three… =-. @Heather ~ Acting Balanced Mom, Thanks for stoping by Heather! It would be great if there was more integration between the platforms! .-= CarrieÂ´s last blog ..I succumbed… =-. @Carrie, Thank you Carrie! You’ll be welcomed back! .-= Rachel CotterillÂ´s last blog ..On Names And Translation =-. @Rachel Cotterill, Aw! Thanks Rachel! I agree – I wish there was more uniformity between the blogging platforms – I’d love to have the blogroll and the followers you get in Blogger. But having blogged in both, Blogger is so much simpler but more restricted, and WordPress requires a degree in rocket science sometimes, but is so much more flexible. The main thing that put me off Blogger though is that Google owns the right to use your content freely (or something like that). I doubt I’ll be doing anything ‘they’d’ want, but you know… just in case! Thanks for stopping by my blog ..Happy SITS Saturday Sharefest to you too ..
And you have a lovely blog here …Kyra is absolutely adorable and i cant wait to read more ..Infact m going to try and read your other blogs too esp the diary of first pregnancy ..Thanks for sharing it ..
.-= Simply MeÂ´s last blog ..Its Fill in the Blanks Friday =-. @Simply Me, Thank you for your lovely comments! I don’t actualy post on the other blogs anymore, and I copied everything from the other blogs on to this one so you could just read it from here! but feel free to look up the old ones if you prefer!! Thanks for the compliment about Kyra too – she’s my prize! Love her to bits. Hope to see you around here again soon!